On Feb. 1, 2003, the shuttle Columbia was returning to Earth after a successful 16-day trip to orbit, where the crew conducted more than 80 science experiments ranging from biology to fluid physics. However, the seemingly healthy orbiter had suffered critical damage during its launch, when foam from the fuel tank’s insulation fell off and hit Columbia’s left wing, tearing a hole in it that later analysis suggested might have been as large as a dinner plate. The damage occurred just after Columbia’s liftoff on Jan. 16, but went undetected. During re-entry, the hole in a heat-resistant reinforced carbon carbon panel on Columbia’s left wing leading edge allowed super-hot atmospheric gases into the orbiter’s wing, leading to its destruction. 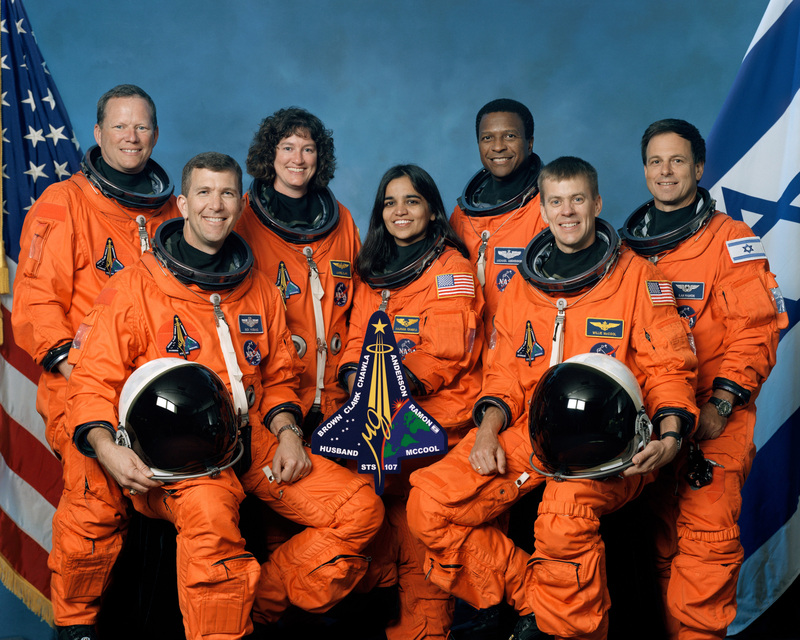 Killed in the Columbia shuttle disaster were STS-107 mission commander Rick Husband and included pilot Willie McCool, mission specialists Kalpana Chawla, Laurel Clark and David Brown, payload commander Michael Anderson and payload specialist Ilan Ramon, Israel’s first astronaut. NASA’s space shuttle fleet resumed launches in July 2005, after spending more than two years developing safety improvements and repair tools and techniques to avoid a repeat of the Columbia disaster. In 2011, NASA launched the final space shuttle mission, STS-135, to complete the shuttle fleet’s role in space station construction. In 2012, NASA’s three remaining shuttles – Discovery, Atlantis and Endeavour – were delivered to museums in Washington, D.C., Florida and California, while the test shuttle Enterprise was delivered to New York City. Under President Barack Obama, NASA was directed to rely on private spacecraft to launch Americans to the International Space Station and return them to Earth. NASA, meanwhile, is developing a new giant rocket – the Space Launch System – and the Orion space capsule for future deep-space missions to an asteroid, the moon and Mars.